In a previous blog post, I commented about swtiching from Windows Phone to Android vis-à-vis a Samsung Galaxy Note 7. Since the phone's release, there have been a plague of issues surrounding the phone. It made national and international news several times, and the final nail in the coffin was when the FAA banned the phone from carry-on and checked luggage on all US domestic flights. I absolutely loved the phone, I thought it was a marvel of technology and an overall beautiful device; unfortunately the love didn't last. As soon as Samsung announced a worldwide recall of the device, I quickly returned it for a refund and went back to Windows phone for the time being. After deliberating for a while about my next new phone, I ended up deciding it would be best to get a mid-range device. At the time of the Note 7's release, there really wasn't any other flagship phone on the market that really grabbed my attention. I ended up deciding on an unlikely option. On the price standpoint, the MSRP of the Z Play (at time of this post) is $449 USD. When I bought the device it came with a free "Premium" moto mod, as either the true zoom camera or the projector; I chose the camera. The Mods idea is quite interesting, and although I like the camera, I don't use it very often, however it is nice to have the option. I also have the JBL sound boost mod, which I use almost daily. It's great to play podcasts at a reasonable volume and timbre without the hassle of using bluetooth; when wandering about my house, it's great to take the sound with me without headphones. Will I stick with Android (or Motorola for that matter)? That is a question I cannot answer. The world of smartphones changes day-to-day and there is a chance I jump back to Windows phone (unlikely) or move to an iPhone (more likely). For now, Google's Android offers me the best options and I do like the variety of services available for the platform over what Apple's iOS has to offer. 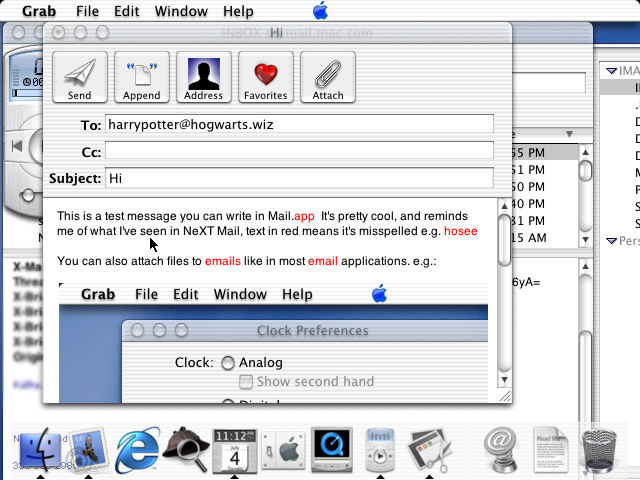 The Mac OS X public beta was an interesting release in Apple's modern history. 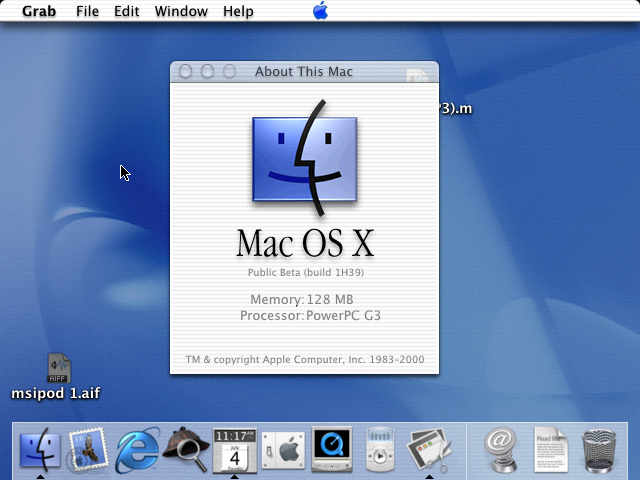 Available for $29.95 on September 13th, 2000, users could buy and install this version of OS X, the first version of Mac OS to feature the new Aqua user interface. 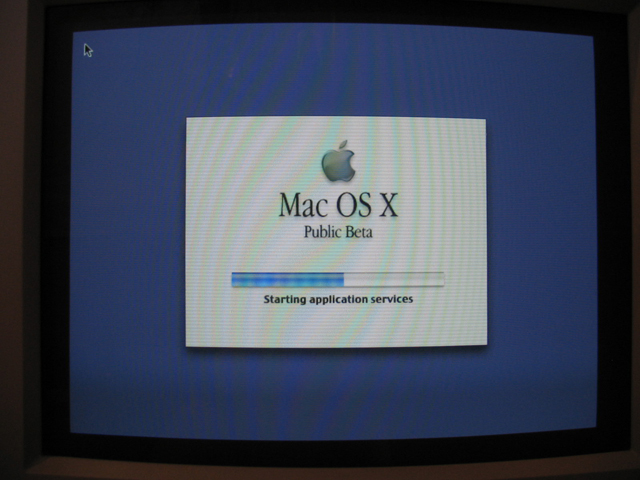 Using my old PowerMac G3 workstation, I installed the public beta to another partition and am going to take you through a quick journey of the first version of what we now know as macOS. After booting into the desktop, I launched About this Mac from the "Finder" menu. 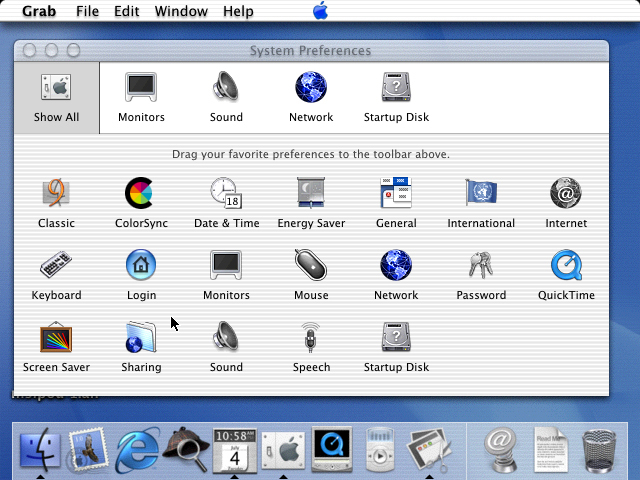 Unlike the shipping version of OS X, the public beta didn't have an "Apple" menu. The apple you see in the center of the menu bar is decorative only. 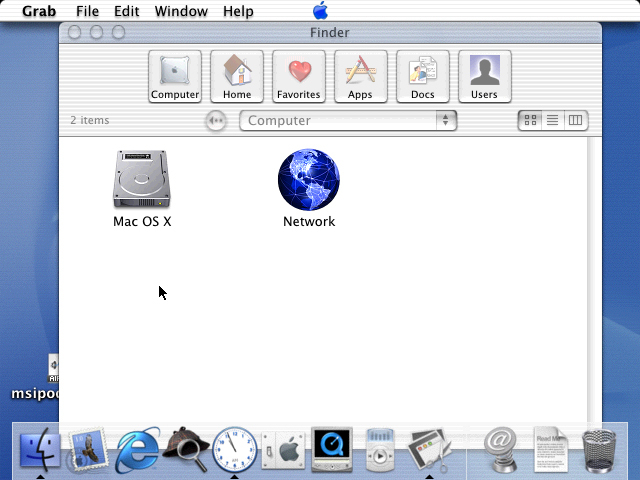 Once booted, two applications are automatically launched, the Finder and Clock. As you can see in the screenshots, there is not clock in the menu bar, the only timekeeping that can be done is from the clock application that lives in the dock. 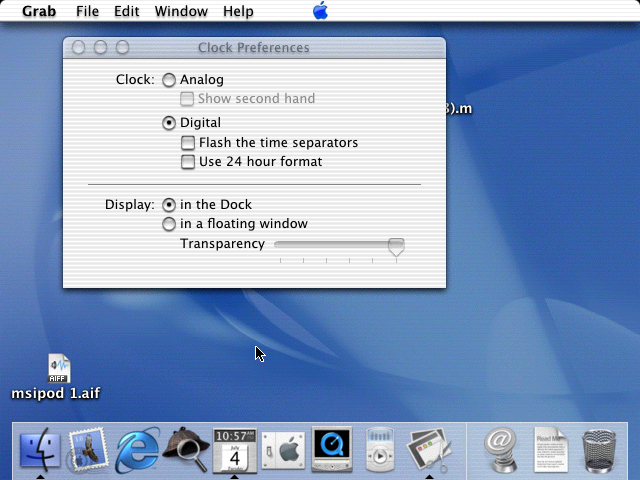 The above screenshot shows the preferences available for the Clock. You can see that after enabling the digital clock, it is very similar to the NeXTSTEP clock. The Finder looks considerably different than it does today, but the main functions are more or less the same. 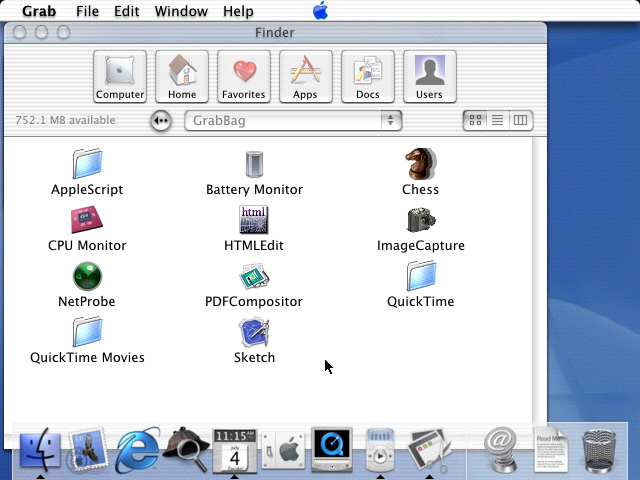 One interesting fact is that before Apple called the folder "Utilities," it was called "Grab Bag." 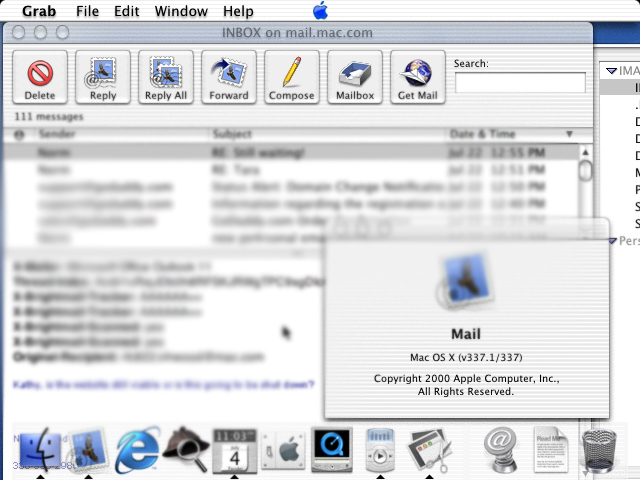 The mail app also looks similar to the finder, with the large buttons containing icons. Despite the age of the client, it still works to get/send POP3 and IMAP emails. 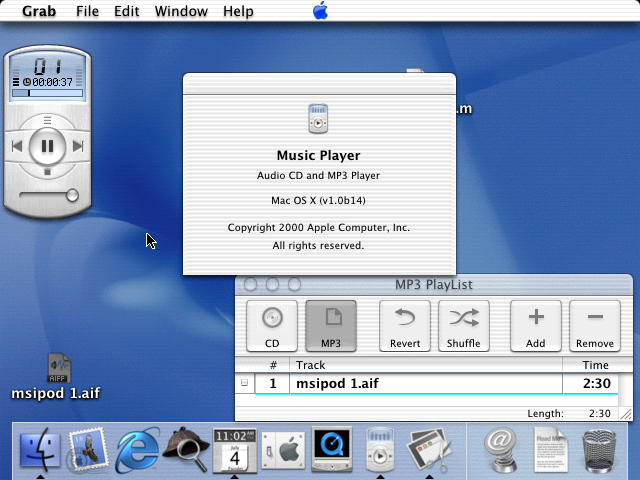 Before iTunes, there was a simple music player with a "mini player" widget similar to what would eventually exist in iTunes. 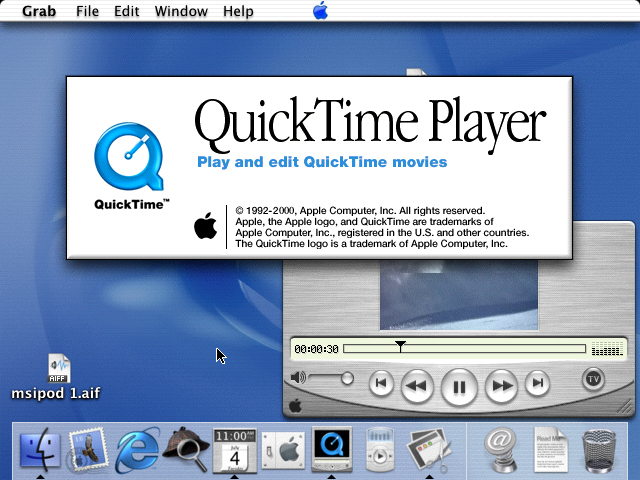 Quicktime also exists and was the first application I could find in the beta that had the "brushed aluminum" interface that would remain until OS X 10.5. The system preferences interface hasn't changed much since the OS X public beta. The only notable thing is that you can dock any preference you would like to the top bar by dragging and dropping. The last application on my list is the Address Book application. It allows you to create new address books (the default is stored in the user's library folder) and add users. From the look of this application, Apple was still working on finalizing the iconography since these icons have a very OS 9 feel to them. It's been quite a road for Microsoft's mobile operating system. From Windows Mobile to Windows 10, a lot has changed. Most notably, its market share. As I mentioned in a previous blog post, I started my smartphone life with Android. Actually, the first android phone, the HTC G1. Google's initial smartphone offering was quite immature to the Android ecosystem that exists today. Lack of stability, lack of updates to existing phones, and poor design decisions plagued many Android phones for the first four or five years of its life. 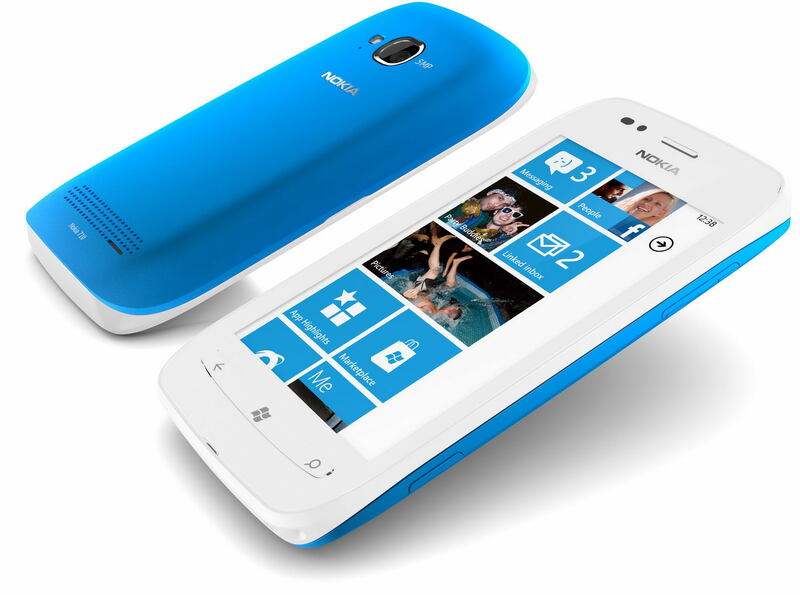 Perhaps that was one of the reasons I ended giving Windows Phone 7 a chance when it came out with the Nokia Lumia 710. The phone really was a breath of fresh air. 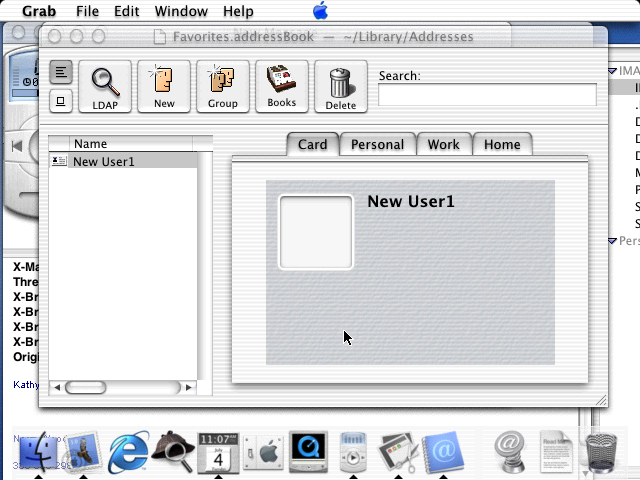 It was extremely fast and responsive, and beautifully designed, especially the operating system, with its sharp lines, bold colors, and unique tile-based user interface. I started an on-and-off affair with Windows phone for a while and ended up staying on Windows Phone when the Lumia 925 came out. I bought that phone and used it until I bought the Lumia 950XL the day it came out. I'm breaking up with Windows Phone. It isn't a decision I made overnight, although it certinaly seems that way. Having less than one year ago spending about $500 on the Lumia 950XL, I'm already giving up. While I really like the idea of Windows 10 and the UWP platform, I's getting harder to take the platform seriously. More and more app-makers are giving up on the platform, things I used to use everyday. Apps like Mint, Amazon, MyFitnessPal, PayPal, and the HERE suite of apps. This is on top of things that, in my opinion, should have been there from the start, the Nook app (which Microsoft tried to make happen), the ability to make panoramas, mobile payments, the list can go on. Even things that Microsoft makes, often perform better on other platforms, such as the Health app used for the Microsoft Band (which I have), the Outlook mail client, and any/all of the Microsoft garage apps. It's almost as if Microsoft is encouraging its customers to go to iOS or Android. So that's what I've done. I recently pre-ordered the Samsung Galaxy Note 7, and just got it yesterday. I will (probably) post my thoughts on it here in a week or so after I have had the chance to truly get to know the device. I really wanted to love Windows Mobile 10, but Microsoft has been making it harder and harder to do so over the last year. And the numbers don't lie. According to Android headlines (vis-à-vis Gartner), Windows Mobile's OS share dropped from 2.5% to 0.6% in the second quarter of 2016. Maybe things will change for Microsoft's mobile operating system. It's unlikely, given past performance and Microsoft's own propensity to invest its time and money elsewhere, but if things change, I'll be waiting in the wings.